In a court decision that sets up a legal battle that will likely be decided by the Supreme Court, a federal court in New York has blocked the Trump Administration's plans to add a 'citizenship question' to the census - handing a victory to civil rights groups who said the question would help disenfranchise minority voters. According to the New York Times, the ruling "marks the opening round in a legal battle with potentially profound ramifications for federal policy and for politics at all levels." 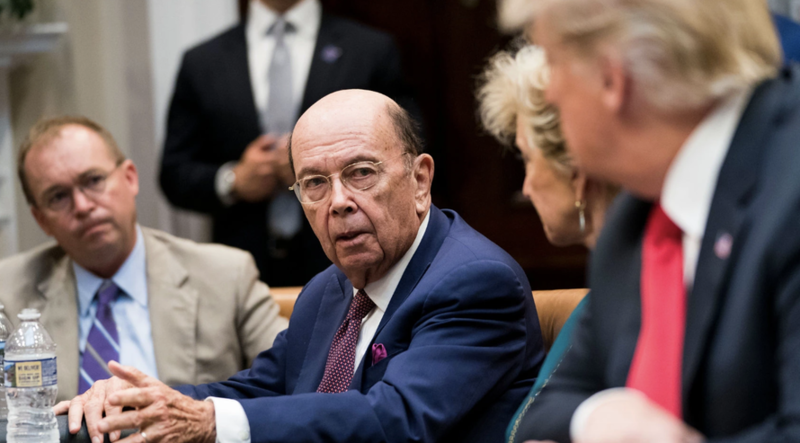 Opponents of the policy argued that Commerce Secretary Wilbur Ross had tried to force the question onto the Census under false pretenses, violating laws intended to ensure that the Census heeds the public interest. Though it's worth noting that a similar question was asked on Census surveys before 19060. Roughly 24 million noncitizens live in the US, of these some 11 million are believed to be living illegally in the country. At first blush, the central question of the lawsuit - whether the 2020 census should ask respondents if they are citizens - seems mundane enough. A similar question was asked in most federal censuses before 1960, and it is still asked by the Census Bureau in the American Community Survey, which samples about 2.6 percent of the population each year. In theory, the citizenship question might cause some to lie or ignore the census, causing an undercount that could skew decisions from apportioning federal funding to the distribution of Congressional districts. The figures will be used to reapportion seats in the House in 2021. Ross argued that he was trying to add the question following a request from the DOJ, which argued that the question was needed to enforce the Voting Rights Act. But the court found this explanation to be lacking, as internal documents showed that he had begun considering the question days after becoming Commerce Secretary. Ultimately, DOC lawyers admitted the question wasn't necessary to enforce the act, while the Census Bureau said the question would deter people from filling out the survey. The Supreme Court is expected to issue a final ruling on the issue before Census surveys start printing this summer.